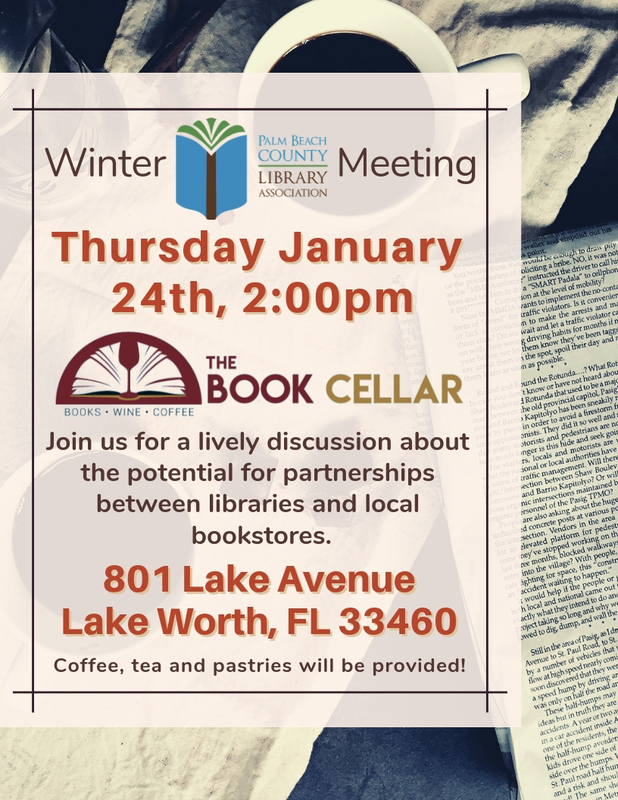 Join us for the PBCLA Winter 2019 Quarterly Meeting at The Book Cellar in Lake Worth. What better place for a lively discussion about the potential for partnerships between libraries and local bookstores? If you’ve never been to The Book Cellar, this is a great opportunity to check it out. And if you have been there, you’ll be happy to have a reason to go back. The Book Cellar is at 801 Lake Avenue in downtown Lake Worth. Coffee, tea and pastries will be provided.